As a pair of completely untethered -- and small -- earbuds, owners are bound to misplace one or both from time to time. Apple, of course, offers replacements for $69 per earbud, but that's a steep price to pay for being forgetful. Apple relies on a connected device to make Find My AirPods work. Specifically, when AirPods connects to an iPhone or Mac, the finder feature queries the host device's positioning hardware -- GPS, Wi-Fi or other component package -- to log the earbuds' location. This information is fed to the Find My iPhone app for later retrieval, perhaps when a user realizes they are missing the left side of their AirPods pair. While great for AirPod users, it's a crying shame that my wife's now-lost 6th gen iPod Nano (one of the best iPods ever, IMHO) doesn't have the same feature (which Apple could have probably added to it easily). Apparently bluetooth wasn't added to the iPod Nano's till the 7th generation back in 2012 (https://en.wikipedia.org/wiki/IPod_Nano). Without them running iOS like software (like the iPod Touch), to say: which Apple could have probably added to it easily, were you even talking about the 7th generation is a big reach I think. But agree; great that AirPod users have it. Time to rename the feature/app "Find" already. 1) This feature just launched today as the first of many iOS 10.3 betas to come before it's available to Apple devices that support iOS 10, watchOS 3, or macOS Sierra or better, yet you're complaining that your 2010 iPod Nano didn't have this 7 years ago. This won't even work with a 2010 iPhone, at least not with the W1-chip benefits in play. 2) You know that this feature is reliant on a BT connection to one the aforementioned compatible devices, like pinging the AirPods from the iPhone to locate them or having the iPhone send last-known-location information to iCloud when it loses its connection with the AirPods. What BT connection did your wife's iPod Nano connect with? 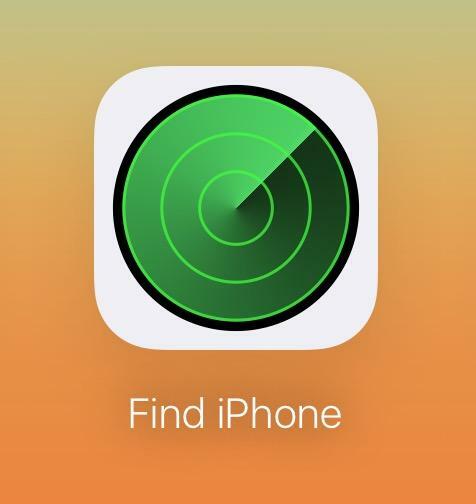 Apple Find,  Find, or Find sound better to than Find My iPhone or Find iPhone. It's been how many years since it worked with other devices? Since at least 2010 when the iPad launched, right? It's such a misnomer that it seems very un-Apple-like. Other sites seem to be suggesting that ANY iOS devices (with bluetooth turned on and) connected to iCloud will report the location of the airpods. I take it that they are wrong and that only paired devices will report the location. The former would be far more useful if you have only ever paired with your phone but it would be open to abuse with people being able to track the movements of other people by secreting a single airpod on their person, in their handbag or car. I use my mostly Mac to find where devices are whatever they are, Watch, iPhone, iPad, it would be nice if the iCloud Find feature on the Mac worked for Airpods too. From what I've read, the AirPods have a range of ~50 feet, meaning you potentially have up to 7500 sq feet to search, so the audio ping feature is really nice. Too bad they couldn't make it a bit louder. Wonder if this is a limitation of the AirPods or a safety consideration? As I understand, the now pulled Find AirPods app had some limitations, but the ability to triangulate based not the signal strength seems like it would have been a nice compliment to Apple's app. Too bad Apple pulled it. Still, props to Apple for introducing this functionality. This would mean that you would have to be sharing an iCloud account with that user (the airpods sync to all your devices through iCloud). If that were the case, you could just log into iCloud and track any device anyway, no need to secret a headphone on them. Yes, that would be a quick way to turn people off to AirPods & the W1 chip! Everything I've read is that it will show proximity to any device that they have been paired with (i.e. any device signed in to your iCloud account), which is still pretty nice. If all your devices are clustered at home then it's less beneficial, but you could also sequentially turn off bluetooth on devices to help narrow down the location. Sorry, I don't follow your point (my bad- it has been a long day). If he other sites were correct (which I don't think they are)- I guess that it would be possible for Apple to use other peoples' OS devices to record the location of any airpods that they "see" (with the BT MAC address being the unique identifier). Thinking aloud... if the MAC address is the unique identifier and assuming that you can pair the airpods with more than one iphone, eg a friend's iPhone, then would the second iphone/icloud owner be able to log into their iCloud account to see where the airpods are? Users who had the app said it didn't work very well, and worse, that it identified any BT device regardless of whether it was your or even Airpods. Doesn't sound like it's too bad they pulled it. Most of the reviews I read were generally positive, given the limitations of the technology. I think I only saw one complaint here on AI that you like to cite. Still doesn't explain why they pulled the app. I think the volume issue is likely a safety consideration. I don't remember the dBA number at the moment, but I recently tested the finder sound coming from an iPad, and it was definitely in the loud-as-hell/hearing-damage range. You don't want to have that kind of loudness for something that could be in someone's ear, and given that a lost one could be in couch cushions or something of the like, you can't really rely on the in-ear sensor to determine whether a really loud ping is warranted or not. They might be able to use the IR sensor and accelerometer to sufficiently determine if an AirPod is in an ear. Well, sure, they could do that. My point is that Apple's lawyers are likely to nix it, because they'll want a zero probability of an incorrect reading leading to an errant 110 decibel ping causing hearing loss. In my experience, the Airpods' sensors are pretty good, but not infallible. That's not good enough for this application. Apple is always going to choose having a bunch of customers be unhappy they couldn't find their pods over even a small number of people suing for hearing loss damages. I would say that's the right choice to make, too.